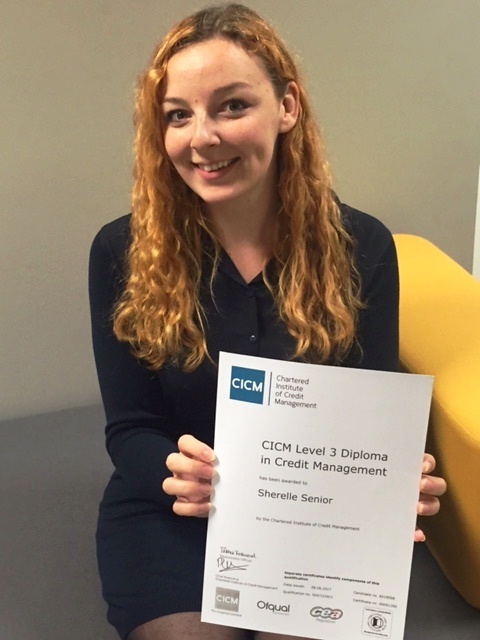 We were delighted to support Sherelle in her course which she studied at Park Lane College, undertaking four modules in accountancy, business environment, business law and credit management. The development is part of a wider £31k investment programme undertaken in the last 18 months to further develop our nine-strong TRFC management team. Sherelle’s studies included learning how to compile a set of accounts. The course also focused on the modern business environment and how a company is structured and set up, as well as the peaks and troughs of the wider economic landscape and how challenges such as recessions impact on it. Her diploma complements the wealth of experience she has gained in our Credit Control Department – boosting her knowledge, confidence and effectiveness. Equipped with a valuable insight into the liabilities and ramifications of credit control, the learning has also boosted her awareness about relevant legal rulings and landmark cases. TRFC was recently honoured with the Diversity award in The Yorkshire Post’s Excellence in Business Awards 2017, where it was also shortlisted in the Outstanding Employer category. For more information on The Bayford Foundation and job opportunities available, visit www.bayfordfoundation.co.uk or call 0113 202 5129. This entry was posted in awards, Bayford Foundation, Business skills, Community, Diversity, Education, Employee Training and Development, Mentors, People Champion, Recruitment, Rewarding Success, Teambuilding, Telesales, The Right Fuelcard Company, Work/Life Balance and tagged awards, Bayford Foundation, careers, credit control management, Diversity, Diversity Award, Employment, Foundation, job relevant qualifications, jobs, Level 3 CICM diploma in Credit Management, Outstanding Employer Award, Park Lane College, people champion, Promotion, Rewarding success, Sherelle Senior, Steven Kershaw, teambuilding, The Right Fuelcard Company, The Yorkshire Post’s Excellence in Business Awards 2017, Training. Bookmark the permalink.